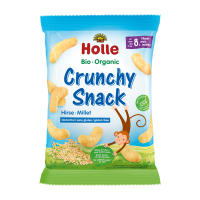 Gently flavoured with organic mango, Holle’s new Organic Crunchy Snack Millet-Mango is a gluten-free, bite-sized puffed snack that is simply yummy. 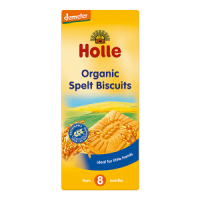 Made from nutritious, organic millet it contains no added sugar or salt. The perfect size for little fingers, these fluffy puffs help to encourage self-feeding and will melt like butter in your baby’s mouth. May contain traces of peanuts. 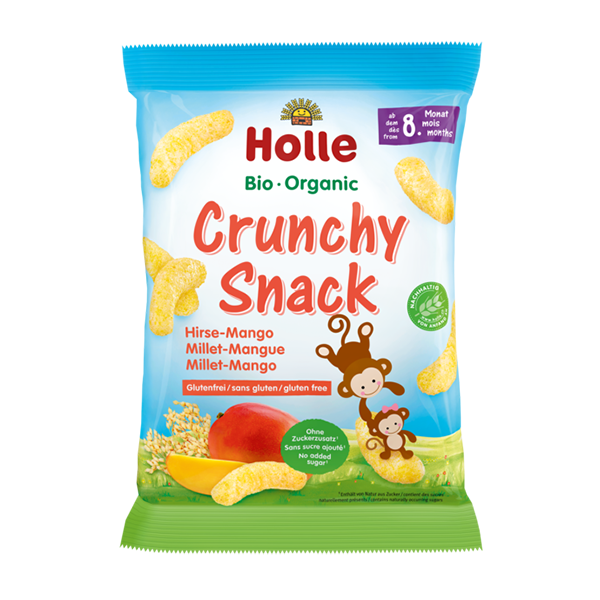 Only carefully selected organic ingredients are used to make Holle Organic Crunchy Snack Millet-Mango. No added sugar (contains naturally occurring sugars), gluten-free. Delicious snack that does not have any nasties in it!! It is not easy to find something like this in supermarkets. 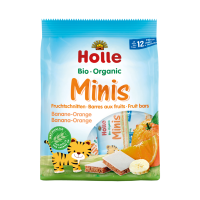 Thank you Holle for giving our babies only the best! Arrived promptly, baby loves them and they are so handy on the go. My daughter enjoyed these. 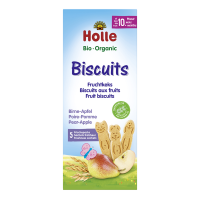 They’re just the right sweetness for a toddler to enjoy without overdoing their sugar intake (natural sugars of course). The pack size is just right too, a little larger than “leading brands”. My twins absolutely love it! The snack is slightly bigger than other brands so it’s easier for the babies to hold it in their tiny hands. It melts nicely in a mouth. I think it’s also good for their gums and and teething. Every time I give them one, they keep on demanding more! Awesome little organic snack for my little one. She enjoyed every bit of it, great when out and about. 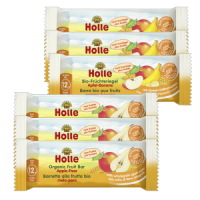 just a great size for my daughter to hold, melt really easily, healthy and this mango flavour was s hit will be buying more! 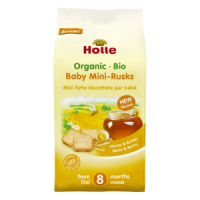 I had ordered the plain (millet) and these and baby loves both. Would recommend as these are better than other brands.